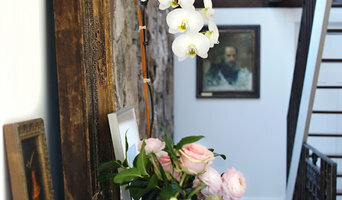 Eileen Marcuvitz works closely with clients to create interiors that are not only beautiful but truly client inspired. Plum Interiors offers a high level of personalized service, overall design and design management of new homes, total renovations, and individual design projects. Eileen Marcuvitz founded Plum Interiors over 15 years ago and has since then been creating award winning interiors that are reflective of her dedication to beauty, comfort, and home. Beautifully chosen, strong sculptural furniture pieces with ample space around them create homes her clients love to live in. Eileen's full-service high-end residential practice has completed projects throughout New England and across the country including Newport, Boston, Naples Fl, Palm Beach, Santa Barbara CA, New York, and Florence Italy. Her work has appeared in Veranda, Beautiful Homes, New England Home, Boston Globe Magazine Newport Home Magazine and was a featured in the book "Living Newport" a book showcasing some of the most stylish homes of Newport RI. Christie Sobran Designs brings over 20 years design experience to every project, be it a kitchen remodel or new construction. Christie’s primary goal is unchanged: turning clients’ visions into their realities. From start to finish her expertise, insight, and wide network of industry resources is seamlessly coupled with her client's tastes, interests, and passions to create a unique and timeless space. She understands and values collaboration in the client-designer relationship and coordinates the aesthetics with the realities of construction. Her project range spans from new construction to a freshly imagined powder room and every project size and budget in between. Working with Christie Sobran Designs is stress-free, full-service and backed by years of experience put into practice. 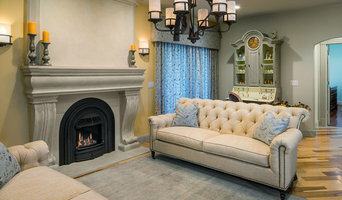 Judy Cook Interiors, LLC is a full service interior design studio located in southeastern Connecticut. Our goal is to create interiors that are elegant, practical and reflective of the homeowner. We recognize the importance of client and designer working together to create the best solution for your design challenges. JCI collaborates with a variety of talented craftsmen (and women!) to create a space that is functional and beautiful. We attend to every detail of your project from beginning to end. We believe the most successful projects are a collaboration between client and designer and we recognize we are designing your space, not ours! In addition, we strive to keep the process efficient and fun while delivering a project that exceeds your expectations. The work of a professional can make all the difference. Whether your home has 10 bedrooms, or your apartment is 800 square feet, it can be tricky to create a cohesive look that is representative of your style. That's where a local Quonochontaug interior designer comes in. A home decorator will help distill your tastes and ideas into a design that suits the needs of your space. Whether you need help creating a functional space plan, rearranging existing pieces, designing the inside of a new home, or simply sourcing amazing furniture and decor, seeking the help of professional interior designers and decorators in Quonochontaug, RI is a must. A good home design professional will hone your style down to its very essence and be able to choose a functional layout that feels natural to you. Interior design companies can be involved as much or as little as the client desires. 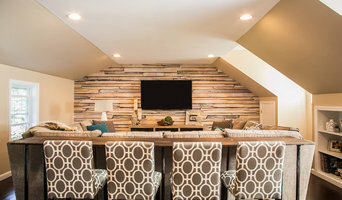 Many clients who hire an interior decorator in Quonochontaug, RI — particularly those who are remodeling — have a good sense of how the room should look and what products they should use. Often clients will insist that interior decorators use the products already present in the house. Other times a designer will need to start from scratch — especially if this is a newly purchased or just-built home. An interior design company will need to figure out exactly what the client needs, which includes organizing rooms, picking flooring and wall colors, and finding furniture to complement it all. Sometimes that means he or she will have to recruit help from other Quonochontaug, RI home professionals to help create the perfect look for your renovation. Here are some related professionals and vendors to complement the work of interior designers & decorators: Architects & Building Designers, General Contractors, Home Builders, Design-Build Firms, Photographers. Do your research before meeting with an interior designer or home decorator in Quonochontaug, RI. Ask yourself what you want your space to become and what it will be used for. Figure out the extent of what you need help with, what your must-haves are and what your budget is. Interior design services can add up fast, so be up front with a potential design firm or individual from the beginning. Also, pick an interior decorator that fits your style. Browse through the portfolios of different Quonochontaug interior design firms and decide if you would live in those houses. Just because you like something doesn’t mean you could live in it. There's a big difference! 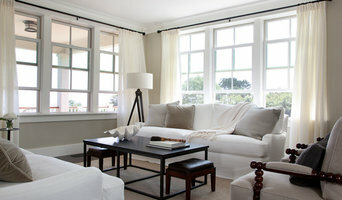 Find an interior designer or home decorator in Quonochontaug, RI on Houzz. Narrow your search in the Professionals section to find Quonochontaug interior designers near you. 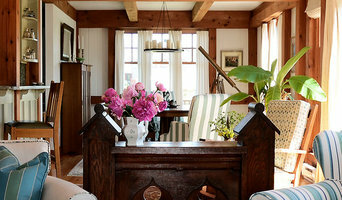 You can also look through Quonochontaug, RI photos to find a room you like, then contact the design firm who designed it.